Rubber Room Ramblings: MY WATCH IT WEDNESDAY VIDEO BOXES! 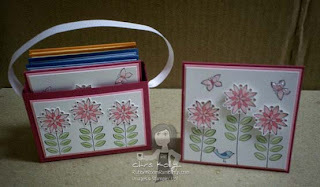 Here are photos of the samples of the box I shared with you on yesterday's Watch It Wednesday Video! 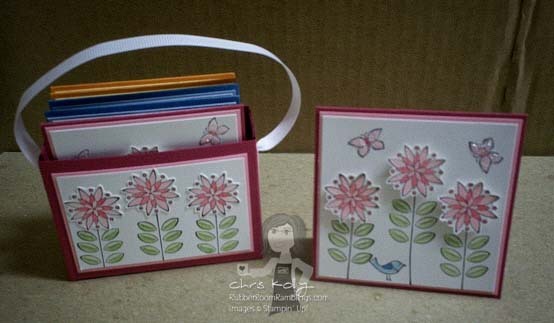 For this first box I used the Sweet Summer Sale-A-Bration stamp set, and I added a ribbon handle and filled it with 3x3 cards. 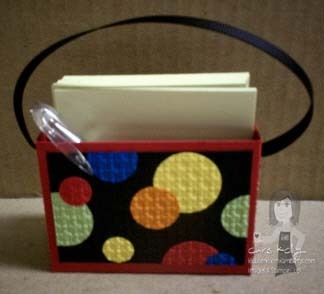 I used the embedded embossing technique for this box, and filled it with some 3x3 post-it note pads and a mini pen. 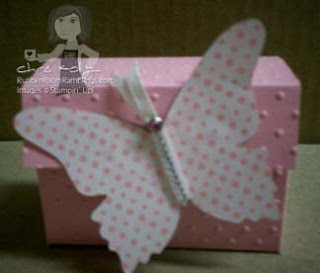 This is the box I made during the video. I have added a little sentiment to the front of the box. 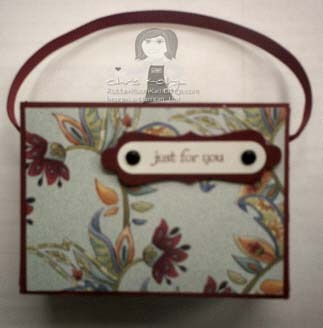 I also used the Paisley Petals Designs Series Paper, which is going to be on special in April. Be sure to check back on my blog for the details on the special, as well as the little "trick" I used with my punch for the sentiment. This is the Easter box. 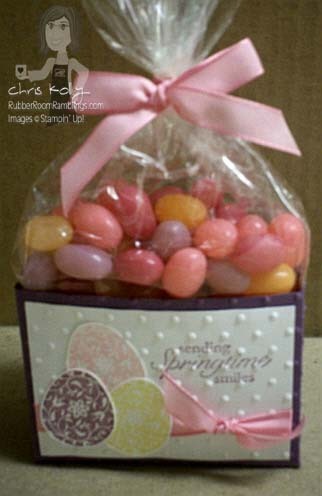 I used the Easter Blessings stamp set from the Occasions Mini Catalog and filled it with jelly beans! This box has a lid added to it. I used the Beautiful Butterflies die for the Big Shot and added some rhinestone jewels.